Smartphone accessories are quite the rage and often make great Christmas presents. 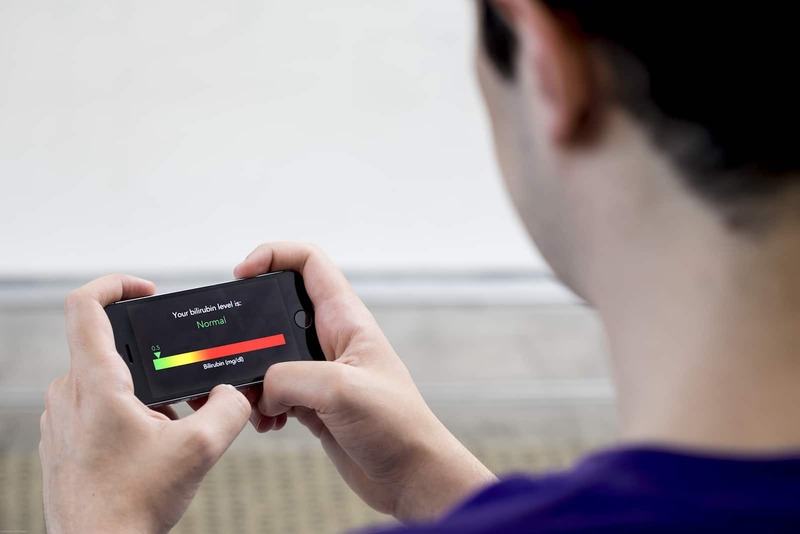 While headphones and charging pads remain popular, what if you could get your hands on a self-diagnosis tool powered by your iPhone? One doctor discovered that he had cancer, and this is yet another incident indicating how the barriers to biomedicine and bioengineering are slowly disappearing, giving complex medical technology easily accessible to the common man. Health-based smartphone accessories are nothing new. Smartphones have given everyone access to significant computing power, which can be used for measuring and tracking every aspect of the human body. A cursory glance at the latest accessories for iPhone X reveals a cardio scale, a blood pressure monitor, a sleeping monitor, a heart rate monitor and a posture trainer along with various sports performance analysis tools. For example, you can analyse your golf swing, your baseball swing, your tennis swing or your football play with different gadgets that can be strapped on to your arm or leg. These accessories can let anyone set up a sophisticated sports physiotherapy clinic or a basic pathology laboratory for under A$2000. Glucose meters – Small devices that dock neatly in the iPhone’s port and send info to a master app that tracks your glucose, carb intake, and the dosage of insulin that should be administered. Many diabetics can manage their health themselves without frequent visits to the doctor. A nanosensor ‘tattoo’ is under development that will use fluorescing nanoparticles planted on the skin to communicate with the iPhone and monitor blood glucose without invasive skin pricks. Vision assessment scanner – A contraption that hooks a plastic lens to your phone, and scans the retina, giving you a medical prescription for any vision correction that may be needed. Digital stethoscopes – These devices help medical professionals visualise and record heart and lung sounds with their smartphone or tablet. They can record and display waveforms and spectograms in real time. As the medical smart devices market grows, new companies are innovating and contributing to this space. Butterfly Network, a U.S. based start-up has created a whole-body imaging device for under $2000. This device can take ultrasounds of any part of the body with a single probe – a device so small that it can fit in one’s pocket. From superficial to deep, complete imaging can be done anytime, anywhere. What’s more, all ultrasound images are stored on the cloud and can be retrieved and analysed at any time from any machine through a password-protected account. Vascular surgeon, Dr. John Martin, was testing the device after he joined the company as their chief medical officer. He had been having an uncomfortable feeling of thickness on his throat for the last few months. So he tested the device by running the probe along his neck. The device, which is the size and shape of an electric razor, scanned his throat and began sending black-and gray images to Martin’s smartphone. Martin is not a cancer specialist, but he knew that the dark, three-centimetre mass he saw did not belong there. It turned out to be squamous-cell cancer, which was eventually treated and removed with radiation. Combining the device with artificial-intelligence software to help a novice position the probe, collect the right images, and interpret them. For example, automatically calculate how much blood a heart is pumping, or detect problems like aortic aneurisms. Automating interpretation of fuzzy ultrasound images, making diagnosis more accurate. Usage by ambulance crews, in remote regions, because the machine can interpret results for them. A patch that could be sent along with patients for in-home care. Parent’s can use it to diagnose a kid’s fracture at home.